Film Festival season has already come and gone. Were you lucky enough to make it to a premiere? If you missed out it’s okay, SLUG was at both Slamdance and Sundance to give you scathing opinions on upcoming films and educated insight into what was worth a damn on episode 135 of Soundwaves. – Slamdance is a smaller festival with an intimate feel, providing independent filmmakers the chance premiere their work to other independent filmmakers. SLUG Editorial Assistant Alexander Ortega and Senior Writer John Ford discuss their favorites from the weeklong film gala. – The Devil Makes Three recently passed through to play shows in Salt Lake and the Sundance Film Festival. Check out their song “Worse or Better” on this episode of Soundwaves! 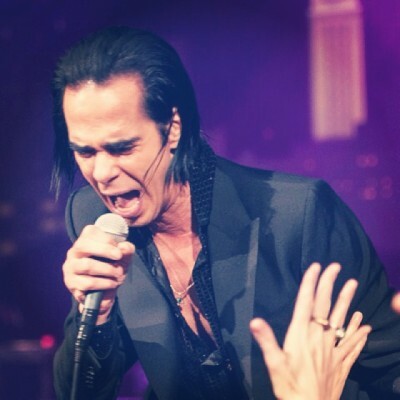 – 20,000 Days on Earth gives you a look into a day of the iconic alternative rock star, Nick Cave. Using voice-overs, live performances and sessions from his home, filmmakers were able to create a story about Cave’s creative process. Listen to the title track for the film, “Push The Sky Away” on episode 135 of Soundwaves. – Managing Editor Esther Meroño, Film Critic Jimmy Martin and Digital Content Coordinator Cody Kirkland were on hand to give exclusive SLUG coverage of the Sundance Film Festival. Our host Dan Nailen, chats with fellow SLUGgers about memorable, and forgettable, films at the popular festival.